Sonically speaking, the dank and oppressive soundscapes of Disease are built around sweeping drones, atonal metallic pounding beat, sub orchestral synth pads and further augmented with well-placed movie dialogue samples. This approach is perfectly demonstrated on opening track The Passage To Your Evil Dreams. After this rather storming opening track the following two tracks Disoriented and Haunted By Demons are perhaps slightly more abstracted and windswept versions of the opener, being more ominous and slow stalking in tone, where rusted factory conveyor belts creak and buckle and unidentified morbid pulsing textures provide slight rhythmic focus. The album is rounded out by The Squire Goes Insane, which in its original version was 28 minutes (and split into four parts), but has been further expanded here with the inclusion of a newly recorded fifth part, bringing the total run time to nearly 36 minutes. With such an extended run time, the track slowly unfurls and is an excellent example of slow building tension across the bulk of the first half (assuming this to be Part 1: Warm And Relaxed). The mood takes a decided step-up around the 16-minute mark with a heavy catatonic beat and atonal horror strings (assuming this to be Part 2: Evil Thoughts Are Growing), while the later parts are both minimalist and restrained soundscapes. As for the new appended Part 5: (Resurrected As The) Walking Death, it blends in perfectly with the balance of the album by featuring loose conveyor belt loops, a grinding bass thrum, and distant windswept atmospheres. 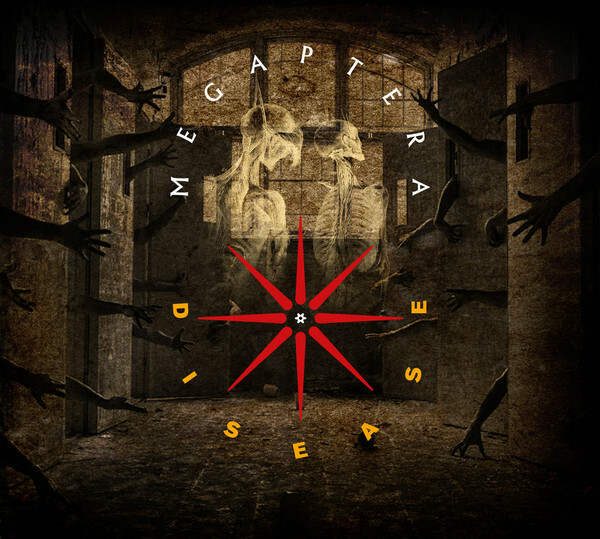 In essence Disease embodies the sound of the grit and decay of an abandoned industrial complex mixed with a solid dose of creeping horror aesthetic, which when combined is immediately recognisable as Megaptera. Although the project would go on to outdo themselves on next album The Curse of the Scarecrow (issued in 1998), Disease is still a landmark release and it is great to have a newly remastered sound, with expanded content and newly designed asylum-themed artwork. According to the cover this release is ‘unlimited’ (a reference to the undead perhaps?) to 300 copies so is not likely to stick around too long.